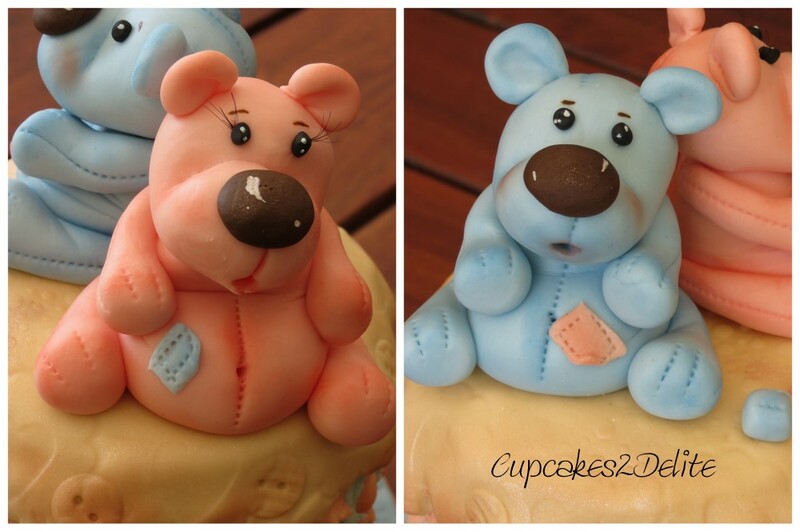 Teddy Cake for Twin Babies! Sue and Paul’s twin baby girl and boy arrived early to this very excited family and we held a baby shower for Sue and her twins during our Wacky Wednesday Scrapbooking session. There was the cutest array of tiny gifts for these newborn babies and much excitement in sharing them with Sue and of course proud granny, Jan. 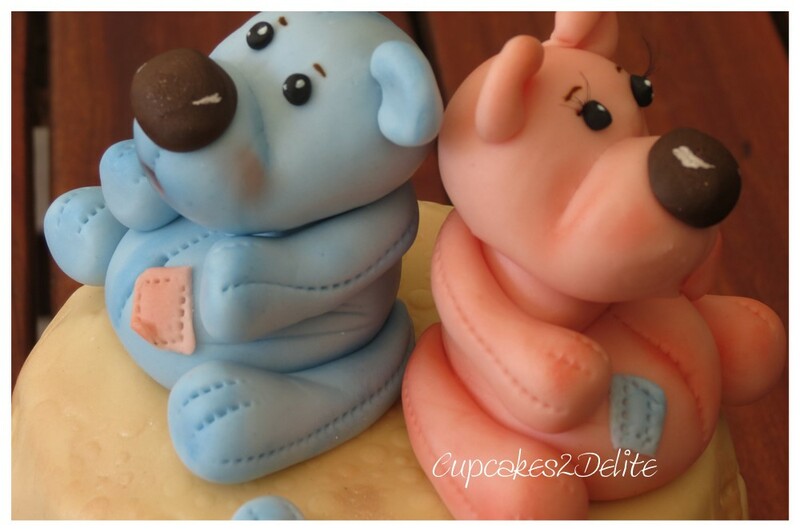 The perfect topper for this cake for Sue was a tiny pair of sugar paste teddy bears, one in pastel pink and the other in pastel blue. They sat comfortably close to each other on the cake looking inquisitively out at their new world. Wishing Sue and Paul and family all the best with their beautiful newborn babies. Absolutely gorgeous!! Well done, Lisa!! Just watching your fabulous work getting more and more fabulous each day!! x Jeanine. Thanks Jeanine, thanks to so many wonderful clients I get the chance to practise more and more creations!